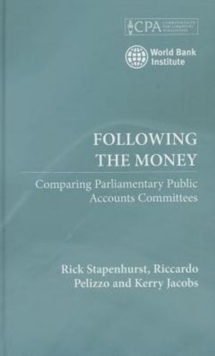 This book investigates Parliaments' capacity to oversee government activities, policies and expenditures. 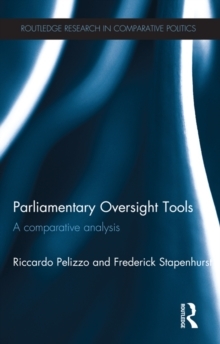 Utilising a comparative approach, the book presents a new examination of oversight tools and discusses the conditions under which such tools are employed effectively. The result of a 9-year collaboration between the authors, this book draws from the findings of survey data collected by the World Bank Institute and the Inter-Parliamentary Union, analysing information from 120 parliaments. 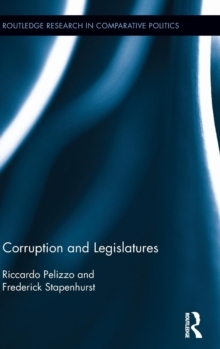 The book represents a rigorous attempt to test whether international organizations are correct in claiming that the quality of democracy and good governance can be improved by strengthening the oversight capacity of legislatures. 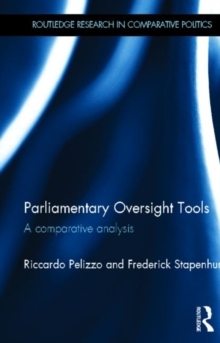 It discusses the tools available to parliaments worldwide, and taking a comparative approach considers which tools are more or less common, how oversight capacity can be estimated, how oversight capacity is related to other institutional and constitutional factors, and above all what ensures that oversight tools are used effectively. 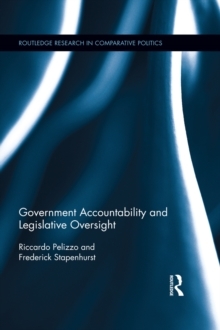 This analysis reveals that while the quality of democracy and good governance benefit from effective oversight, oversight effectiveness cannot be reduced to oversight capacity. The book urges policy makers and reformers to change their approach from strengthening capacity to securing that the capacity is put to good use. Parliamentary Oversight Tools will be of interest to students, scholars and practitioners of legislative politics and governance.